Lobster lay in a crate at the Stonington Lobster Co-op dock in this August 2014 file photo. Maine’s lobster catch brought in an estimated $456.9 million to fishermen in 2014, an all-time high that was driven by the largest one-year increase in price per pound in more than 50 years. The Department of Marine Resources this week released preliminary catch figures, showing average prices paid to fishermen jumped more than 25 percent — to $3.69 per pound — for the 2014 season. The average statewide price in 2013 was $2.90, according to DMR statistics. The $3.69 average is the highest the annual statewide figure has been since 2007, when it was $4.39 per pound. That $0.79 per-pound increase, paired with a catch sustained at more than 120 million pounds for the third consecutive year, made the 2014 catch the most valuable ever in Maine without adjusting for inflation. The total estimated dockside value of the statewide 2013 harvest was $370 million. South Thomaston lobsterman Dave Cousens, president of the Maine Lobstermen’s Association, said Friday that cool water temperatures last year produced a high-quality product that was in high demand all year long. 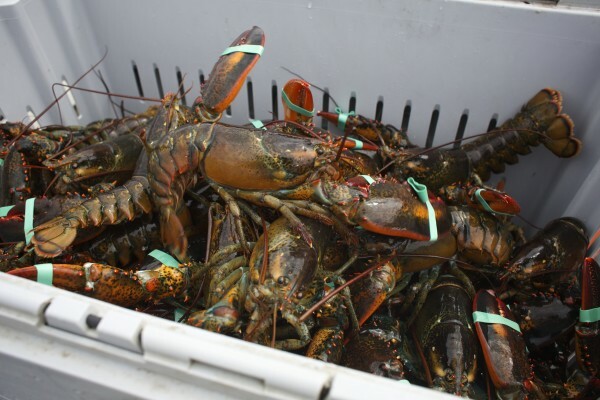 There was not an oversupply of soft, newly molted lobsters in the spring, which caused the average price fishermen earned for their catch to sink in 2012 and 2013. The high supply of hardshell lobsters in 2014 meant that lobsters could be shipped live over long distances, which meant processors had to compete with live seafood retailers in terms of the prices they offered, Cousens said. Cousens said that with the harsh winter weather over the past month, he expects water temperatures in the Gulf of Maine to remain cold throughout the spring, which would produce another crop of hardshell lobsters this year when consumer demand peaks in mid-summer. “We’re not going to have lobsters early this year,” he said. Among counties with the highest catches, Washington County saw the biggest increase in value for its catch in 2014, up 30 percent to about $80.5 million. Hancock County, with the top catch value again last year, saw the second-largest increase in the value of its haul. Waldo County, sometimes grouped with Knox, had a 65 percent increase in catch value in 2014 to about $3.4 million. Counties in the southern part of the state also saw a surge in total catch value, with the value of landings in York County up about 24 percent.